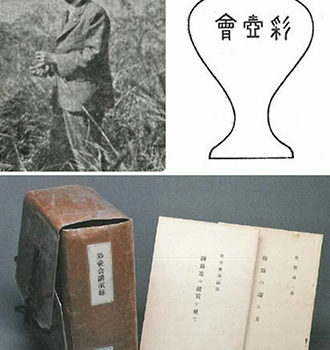 The Saikokai (Colored Jar Society, founded in 1914 or 1916) gained prominence in the Taishō era (1912–1926) and it contributed to the gradual formation of the academic discipline of ceramic history. The Saikokai proclaimed “scientific appreciation of ceramics” as the guiding principle of their ceramic study. This new approach marked the fundamental shift in ceramic appreciation by speaking directly to both the existing tea hegemony (chanoyu) and the newly adopted fine art canons so central to the development of ceramic scholarship in modern Japan. As the leading voice of the Saikokai, Okuda Seiichi (1883–1955) conceived the very ideas about ceramic hobby and appreciation. My presentation investigates the concept of “ceramics for appreciation” raised and elaborated by Okuda to illuminate the broad intellectual currents of collecting, appreciating, and studying ceramics in the Taishō era.